The other morning a a friend visited to drop off two pets we will be pet sitting. 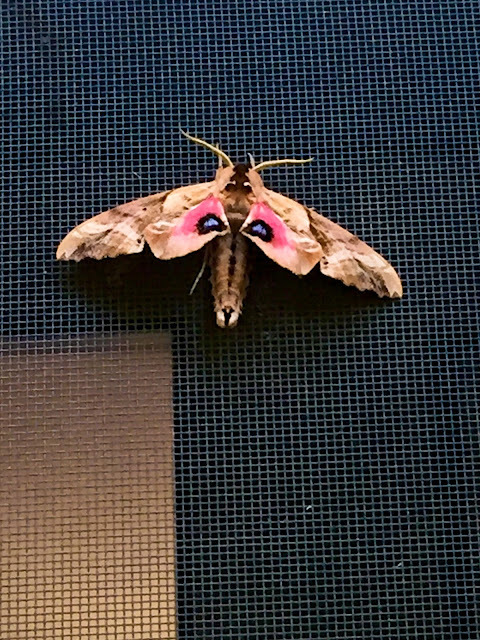 At the top of my screen door I noticed a huge moth. I have seen big moths before but never one that had pink on it's wings. Forgive the photo as it was hard to reach so I had to just raise my hand, shoot and hope for the best but it was truly beautiful. That's a very unusual moth for sure. I'm going to try and find it via Google. I think you took a great, detailed picture! 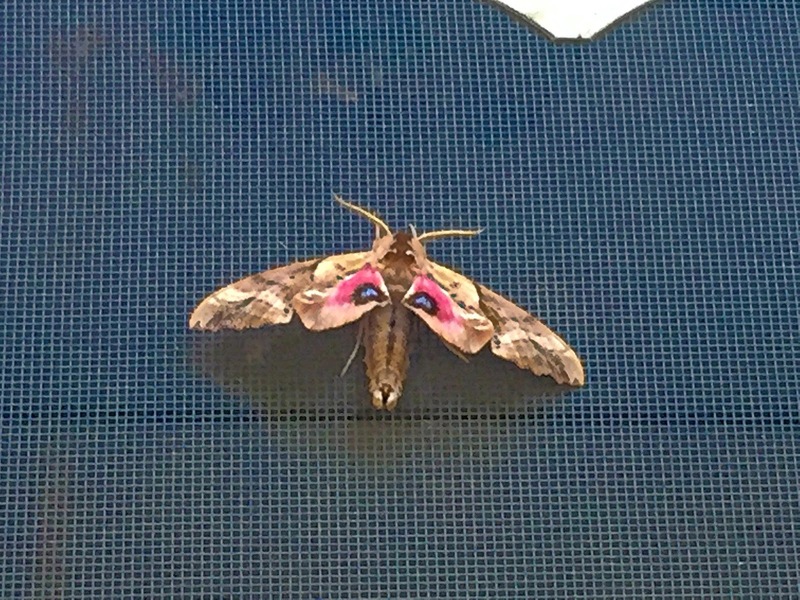 I've never seen a moth with pink on it before, either. Hello, what a pretty moth. I has lovely colors and markings. Enjoy your day and the week ahead! What a pretty little moth! It's definitely unique with those colors. It makes you wonder what other colors are out there that we don't get to see regularly.